This section gives further information on how to approach template and table adjustments, along with a few things to look out for when designing your template. Formatting templates can get messy if not careful. We recommend to turn on the ( ¶ ) option as it helps provide visibility to how you have formatted your template. The following image is an example what you will see with ( ¶ ) on. It is important that the page margins are correctly set. This ensures that expanding text will move down the page and not off the side of the page. If the <<Client first name>> is merged successfully, the new lines height will be 9 however if the <<Client first name>> is empty, the new lines height will be 16. To use paragraph formatting instead of carriage returns (the enter key), simply highlight the text or Field and right click on your mouse. You’ll see the Spacing options. Adjust the the height of the space before and/or after for the best layout of your template. When the report is generated, all region merge fields are removed, so the ‘TableStart:AU_Credential_Main’ when removed could cause all text to shift upwards by one line. Overall, it’s a bad practice to work with an image which has static text (excl. Logos etc) – avoid where possible. The Header and Footer of a template can be used to repeat content on multiple pages of the same report. 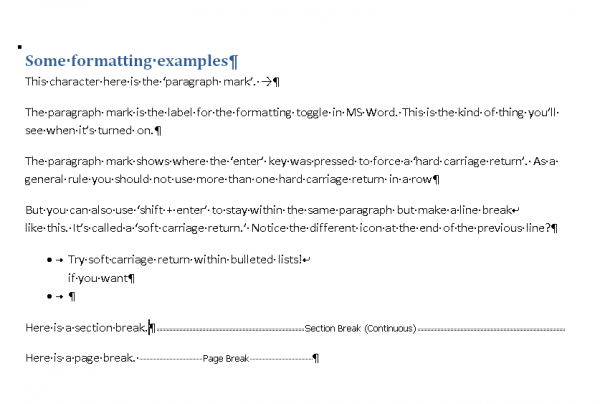 Page breaks can be used to force a new page to occur directly after a specific item. This is useful when trying to group specific information together. Region list: “TableStart – TableEnd – Section Break – TableStart – TableEnd” and the uReport template will work. Find any section breaks and remove them by highlighting the section break line and clicking Delete on your keyboard. To find a section break turn on ( ¶ ). In table properties ensure that for each Row settings that the “specify height” option is unchecked, ensuring that it will grow as required. To check the setting for each row, click ‘Next Row’ and the height setting will appear, which you can then alter. What this does is creates a gap between each row that is based on the value entered in the height setting. If left unchecked, each row will appear directly below the next. If an amount is entered, then a gap between each row will occur that is based on the value entered. 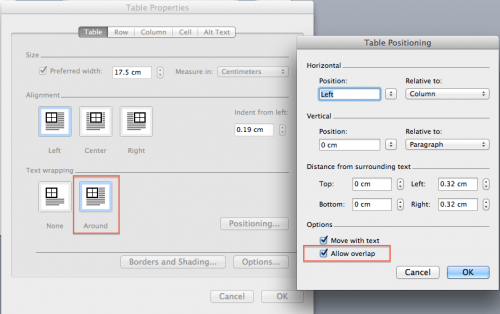 In table properties ensure that ‘Text Wrapping’ is set to ‘Around’ and that in ‘Positioning…’ that the option ‘Allow overlay’ is checked. Table properties can be set to ‘None’ if the preference is to display unit details over two pages with the header row of the table repeating in subsequent pages. To get a horizontal line on just the bottom of the table, add a new additional cell row at the bottom of the table by right clicking on the last cell and select insert>insert rows below. Format this row with bottom border only. Use the border options found in the menu on the top of your MS Word document. Make this new cell row really thin in size so that it doesn’t take up too much space between the table details and the border line. Without the additional cell row, putting a line on bottom of the table layout will make the line repeat per row. Without the row, if you put a line on bottom it will repeat per unit which is a different layout style. If just a single rule desired the additional row with line on bottom works best. If you put a line on top of the new row it acts the same as line on bottom of repeating row. Increase the size of each row/cell by moving the cell border to the left or right. 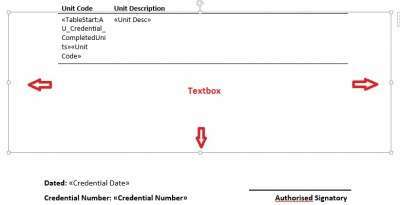 In the case of a credential (statement of attainment), check with your compliance manager if displaying the units on the overleaf is acceptable. 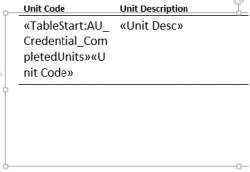 If so, create a page break in the document and place the unit table on the second page. In your table, right click on a cell and select ‘Insert.’ The choice to add a new column to the left or to the right displays in the list. 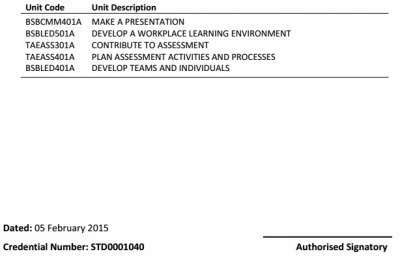 This is useful if you require additional information to display in the table, like, the Unit End Date or Outcome. IMPORTANT: In the case that a new column is added to the table and it’s set at either the first column or the last column, make sure that the sub-region is either moved or added in to this new column, Simplest way is to copy and paste the sub-region in to the new column. Open a Wisenet pre-designed uReport Template, like a Transcript of a Statement of Attainment, and copy the text box. To find it, hover your mouse over the table and a box should appear to sit over the table. When the textbox has been copied, paste the text box on to your template and place it over the table. For best results, have the top of the text box sit just above the first cell of the table. Then take the bottom section of the text box and expand it down by dragging it to as far as you want it to expand. Remove any space gaps between the bottom of the text box. If there are any details at the end of the template, say a signature or date, then just have them sit below the text box. The space that you create with the text box will preserve any fields or text in place until the text box has been filled. Only then will details be pushed down. From your main menu, go to Insert and find the icon for Textbox. Select Draw Text box option. Shape your text box with your cursor in your template. Place a text box over the area of the table. Push all details below the text box down until you reach the space you feel is required for the table alone. Note: Be sure to not place the table inside the text box; they must be separate. The details in the table will now take up the allotted space created by the text box. Once the space is filled, any details below the text box will be pushed down. If there is a gap between the textbox and any details below the text box line, that is more than likely because there are spaces put there with the “enter” key from your keyboard. Remove them up until the point that you require the text box line to reach. You need to check that the field has been correctly added. How to hide label when field has no value? This is achieved by adding additional info into the MERGEFIELD. This is known as a MERGEFORMAT. The uReport Data Dictionary already has the required formats for each field that you can then edit. To be able to add Field Switches in Microsoft Word, you must highlight the MergeField, the right click and press Toggle Field Code. After adding your field code right click again and press Toggle Field Code and then Update Field to return the document back to normal.